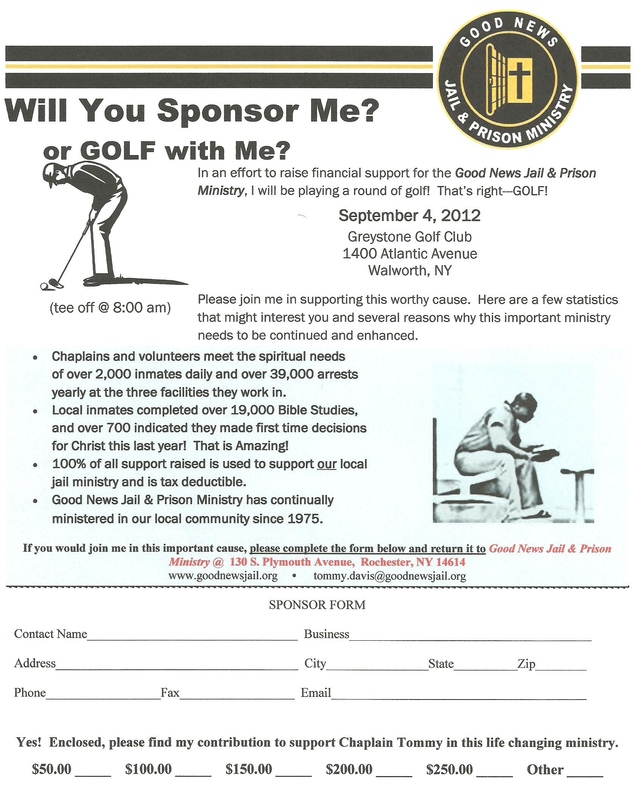 Prison Ministry Fundraiser!!!! Could You Support Chaplain Davis? Or you may donate online at https://give.goodnewsjail.org/national and designate Chaplain Tommy Davis in the drop box.